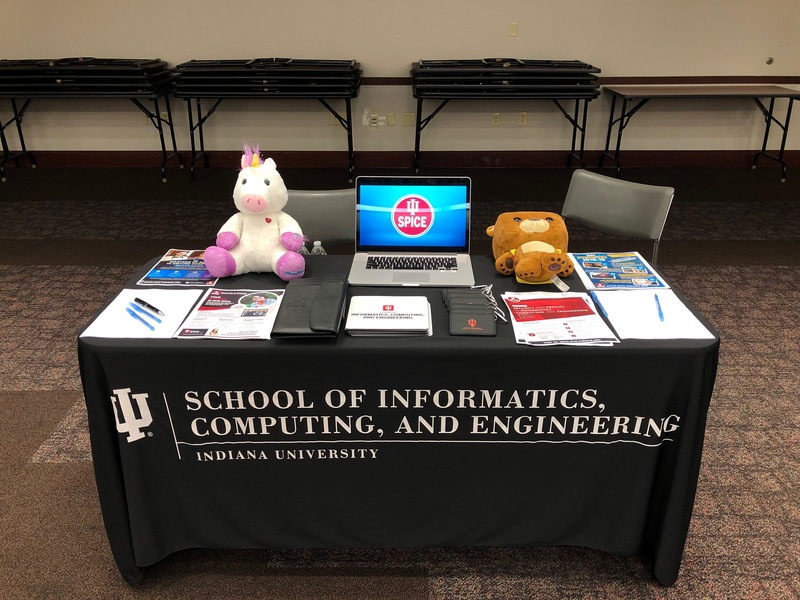 As part of Cybersecurity Awareness Month, Security & Privacy in Informatics, Computing, and Engineering (SPICE) took part in recruiting at the 2nd annual Cybersecurity Career Fair on October 4th. The fair was held at Indiana Government Center South. Forty companies took part in the fair and a similar turn out to the inaugural attendance of 200 visitors was expected. This event is a great opportunity to reach out to upcoming students in the field of cybersecurity as well as speak with Capital Building staff members from a wide variety of departments and levels of exposure to the vital work that our center does on various initiatives. 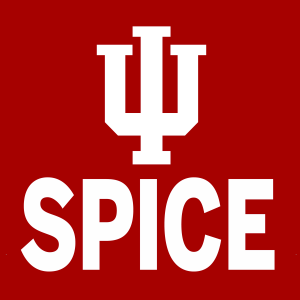 SPICE's table include research demonstration materials ranging from hacked toys and household items from the center's Internet of Things research house as well as information on research being done by our usable security and privacy labs. The event was orchestrated by the Indiana Information Sharing and Analysis Center (IN-ISAC). 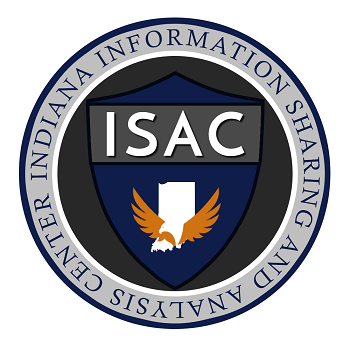 IN-ISAC was developed in 2015 by the state of Indiana to mitigate cybersecurity threats to state agencies by promoting information sharing on threats and collaboration strategies for addressing threats. IN-ISAC partners include the following: the Indiana Office of Technology, Indiana Department of Homeland Security, Indiana State Police, Indiana National Guard and the Indiana Intelligence Fusion Center. IN-ISAC has received several national awards including the 2016 Cybersecurity Innovation Award as well as a Digital Government Achievement Award.